Legendary Chef Larry Forgione Teaches Students "It's a Way of Life"
St. Helena, CA – The Culinary Institute of America has launched a new program that allows students to study farm-to-table cuisine with legendary chef Larry Forgione at the college's California campus, the CIA at Greystone. The American Food Studies: Farm-to-Table Cooking concentration brings students from the CIA bachelor's degree management programs in Hyde Park, NY to the epicenter of the farm-to-table movement in Northern California. Visitors to the CIA at Greystone will reap the rewards of the students' culinary lessons as they dine on their creations at The Conservatory. This student-led "crop-up" restaurant will be open to the public Friday and Saturday nights, beginning August 2 and 3, in the Williams Center for Flavor Discovery on campus. The multi-course tasting menu will focus on seasonal ingredients that are grown and harvested by the students. The cost per person is $65, and reservations can be made by calling 707-967-2300, or at The Conservatory at Greystone's page on www.opentable.com. This 15-week travel component of the CIA's Farm-to-Table Cooking concentration is a conservatory-style, hands-on educational model for students who want to be part of a community working to create healthy, sustainable, and delicious food systems. Led by the program's culinary director and co-founder, Chef Larry Forgione, students will begin a journey to learn the concepts of environmental stewardship and food ethics, and facilitate the exchange of ideas as they explore these vital topics. 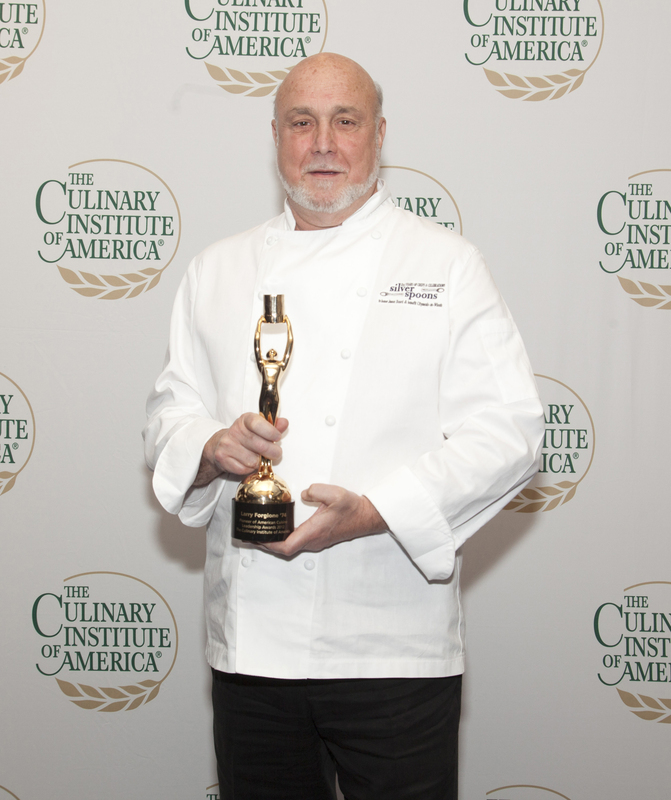 Forgione, who graduated from the CIA in 1974, is hailed as "the godfather of American cuisine," and has been credited with changing the way Americans eat today by embracing the virtues of our national cuisine and using only seasonal, local ingredients. He has worked in some of the best kitchens in Europe and America, and in 1983 opened An American Place, which earned three stars from The New York Times. "I want students to learn the phrase 'farm to table' is not just a tag line or a marketing ploy," said Forgione. "I want them to learn it's a way of life. Only at the CIA will they get the chance to work with some of the greatest names in American food and develop an increased awareness about creating fresh food made with sustainable ingredients." Over the course of the semester (15 weeks), students will receive a hands-on education on three CIA farms, where they will work with Forgione and Farm Manager Christian Dake, previously a farmer for the Baker Creek Seed Company and a founder of the Baker Creek Heirloom Seed Festival. The CIA farm locations at Deer Park Road, the Charles Krug Winery, and on the CIA at Greystone campus will be hands-on learning labs where the students will plant, nurture, and harvest ingredients.